Hi guys! Lora, Joey, Heidi and I are PUMPED to share our Productive Play Results with you 🙂 One of Joey and Heidi’s favorite Productive Play activities is interviewing fellow entrepreneurs. They have a TON of fun actually doing the videos, they discover new skills while formatting and sharing these videos, and they’re learning a whole bunch too! And now Joey and Heidi want to help you guys experience and enjoy the same great Productive Play results. So they’ve chosen their 5 MOST FAVORITE entrepreneurial interviews, AND they’ve identified their favorite insight, or lesson they learned, from each interview. And we’re providing the full interview videos for you to experience with your family here. 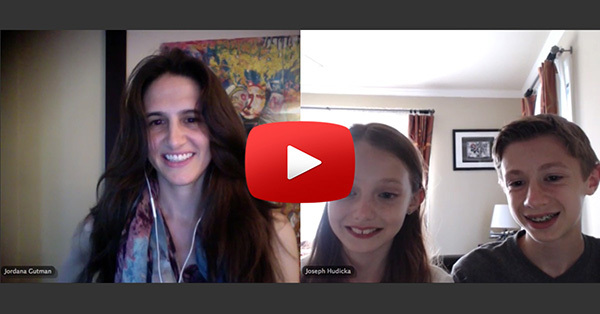 Joey and Heidi’s first entrepreneurial interview features special Guest and creator of The Gutman Method, Jordanna Gutman. The Gutman Method helps teenagers frame big, inspiring goals and then helps them build a strategy to go after those goals. Going through her process teaches teenagers valuable success skills and entrepreneurial mindsets that they are not learning through traditional education alone. Jordana began her entrepreneurial career by founding her own law firm in New York City before becoming an entrepreneur coach and success trainer for teenagers. In this interview, you will be inspired by Jordana’s special talent of seeing opportunities for people that they never realized were available to them. 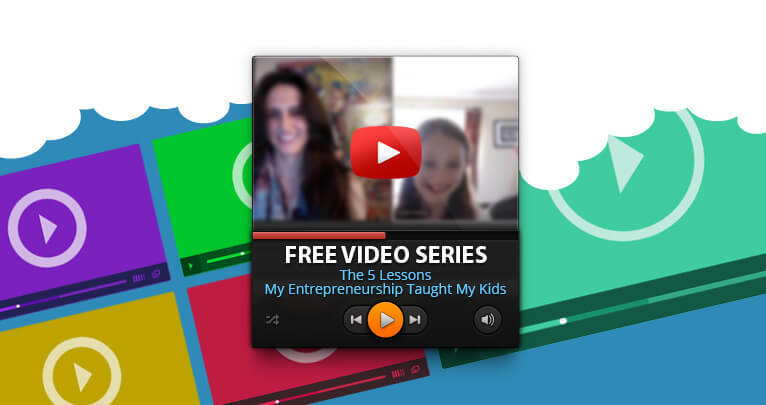 And most exciting, you will discover the #1 Lesson My Entrepreneurship Taught My Kids! If you haven’t already experienced Joey and Heidi’s interview with Jordana Gutman, you can do so right now! 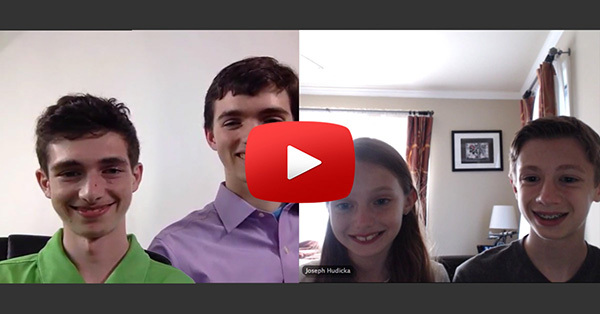 Just click this link to access this video series, or the video image below: In Joey and Heidi’s second entrepreneurial interview video, they discover the power and importance of social-preneurship with their special guest, Ben Broenan. Ben is the Found of Ben’s Benevolent Bike Tour, whose mission supports after school programming for teenaged children at Boys & Girls Clubs of America. You are sure to find Ben as enthusiastic and motivational as Joey and Heidi did – it’s no wonder Ben’s become such an inspiration to so many of our future leaders! 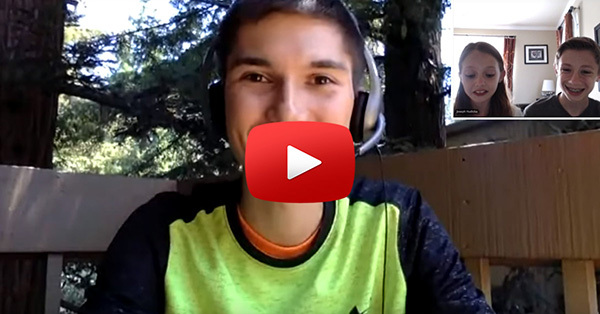 So join Joey and Heidi as they virtually experience Ben’s amazing ride through life, and learn the #2 Lesson My Entrepreneurship Taught My Kids! Joey and Heid’s third entrepreneurial interview video features special Guest, Kimmy Shwimmy! Kimmy Schwimmy is the creator of a children’s pre-school music enhancement curriculum program, using over 60 original test focused songs. Kimmy nurtured and grew her process very slowly over the course of 8 years, bringing every one of her songs into preschools in NYC and NJ. Working with literally every demographic of children including special needs children, Kimmy also developed props and incorporated puppets and other ancillaries to add to the musical canvas making the learning experience tactile and therefore more engaging. The songs themselves are catchy and full of imagination and possibilities for stage performances and television interstitial videos as well as a written treatment for a children’s television show. In Joey and Heidi’s interview with Kimmy Shwimmy, you’ll absolutely find your own inspiration through Kimmy’s energy, and the insightful questions Joey and Heidi explore with Kimmy! And most importantly, you will discover The #3 Lesson My Entrepreneurship Taught My Kids! You can click this link to access this video series, and check out Kimmy’s interview, or click the video image below for access: Joey and Heidi’s fourth entrepreneurial interview video guest stars the co-creators of an amazing entrepreneurial success story, brothers Michael and Marc Guberti. Michael and Marc are New York City based, teenaged brothers, whose brainchild, Teenager Entrepreneur, “educates and empowers teenagers worldwide to take their passions and convert them into products. They’ve even partnered with various corporations and business owners to host the Youth Empowerment Camp at Fordham University, already in its third year! Joey and Heidi really enjoyed getting to know Michael and Marc – it was a great experience to connect with fellow young entrepreneurs. This special conversation with Michael and Marc Guberti helped Joey and Heidi discover the #4 Lesson My Entrepreneurship Taught My Kids, and you can check it out here, just click this link to access this video series, or click the image below: Joey and Heidi’s capstone entrepreneurial interview stars Anthony Gemignani, Founder of All Star Music Empire and children’s writer. Anthony began his career as a professional guitarist at the age of 16, touring all over, and his passion for music guide him into teaching guitar. Anthony partnered with Brian Wagner to open the Allstar Music Empire, “the most unique and one of a kind music school and store around”, also featuring a live venue for performance! Anthony believes that art and music make the world a better place, and help people build confidence and self worth, while learning a craft that they can enjoy for a lifetime. 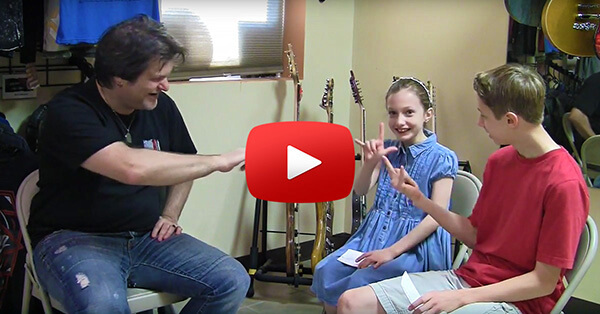 Joey and Heidi had a BLAST interviewing Anthony, who also happens to be their music coach too! As you can see from the video image below, learning works way better when it’s also FUN!!! So click this link to access this video series and learn the #5 Lesson My Entrepreneurship Taught My Kids, or click the video image below: Joey and Heidi have had SO MUCH FUN conducting these entrepreneurial videos…but even cooler?!? So did their special guests! If you or someone you know might be a great inspiration for one of Joey and Heidi’s upcoming entrepreneurial interviews, click this link or the image below and let us know! There’s limited space in their busy entrepreneurial schedules, so click now and we’ll get right back to you, we promise!